Photos: Monalisa And Vikrant Singh Rajpoot Finally Tied The Knot In Bigg Boss 10 House! Here’s everything you want to know about the “Just Married” couple’s wedding that took place on the controversial reality show Bigg Boss 10! 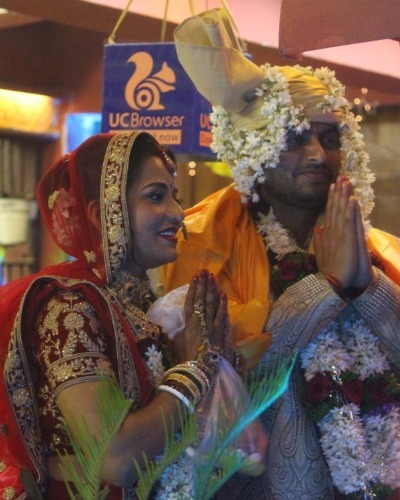 Bigg Boss 10 contestant Monalisa married to her longtime boyfriend, Vikrant Singh Rajpoot in Bigg Boss 10 house with all Hindu traditions. The couple tied the knot in the presence of their friends from Bhojpuri industry, Bigg Boss 10 housemates, and a few family members. From Monalisa’s Haldi ceremony to Mehendi and then the wedding, the entire house rejoiced and extended their heartfelt wishes to the couple on their big day. Monalisa looked stunning in her red lehenga while groom Vikrant rocked the traditional look. 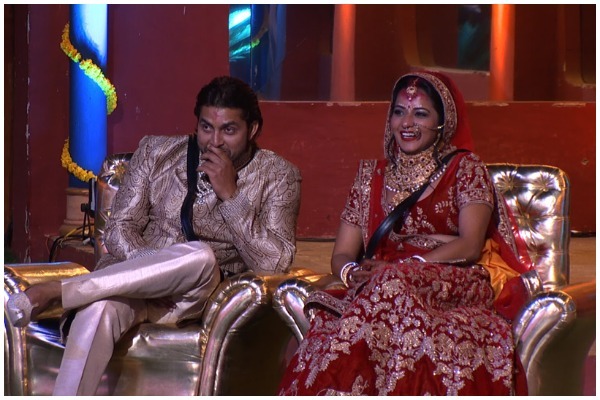 The housemates also grooved to the Bhojpuri and hit Bollywood songs for the sangeet ceremony. Ravi Kishen and Dinesh Lal Yadav aka Nirahua, Mona Lisa’s friends from the Bhojpuri industry also danced at after party in Bigg Boss 10 house. Post wedding, Bigg Boss wishes the newly married couple and also arranged a special first night in the secret room of the house. The newly-weds will return to the house in tonight’s episode. After they return, Bigg Boss then asks Vikrant to bid adieu to the housemates and wife Monalisa after his wonderful time in the house. 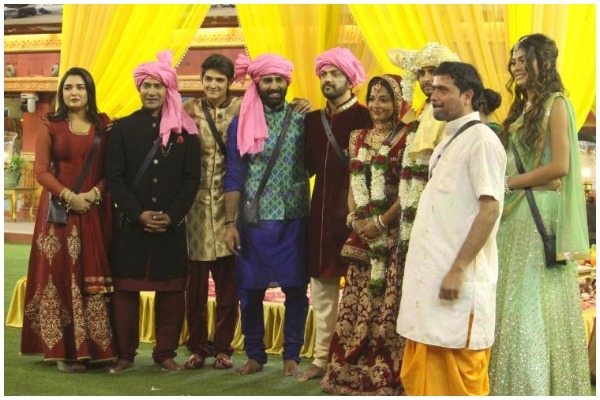 Take a look at the pictures from Monalisa and Vikrant Singh’s wedding inside Bigg Boss 10 house!